day of school on February 3. Everyone is writing to 1000. 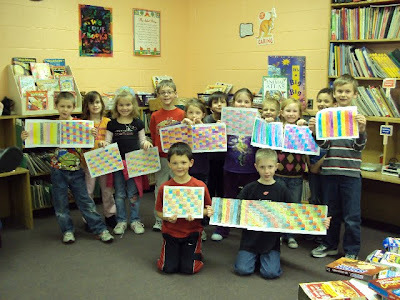 We are also making a train of 100 books or more that we have read from January 18 to February 3. We are learning poems and songs about 100. The 1st graders are making a 100 square paper quilt using their 1st, middle and last names for quilt blocks.